Some recreational spots are enriched with the eternal beauty of nature. The sense of relaxation you get by visiting these spots leave you refreshed and give you a sense of calmness. 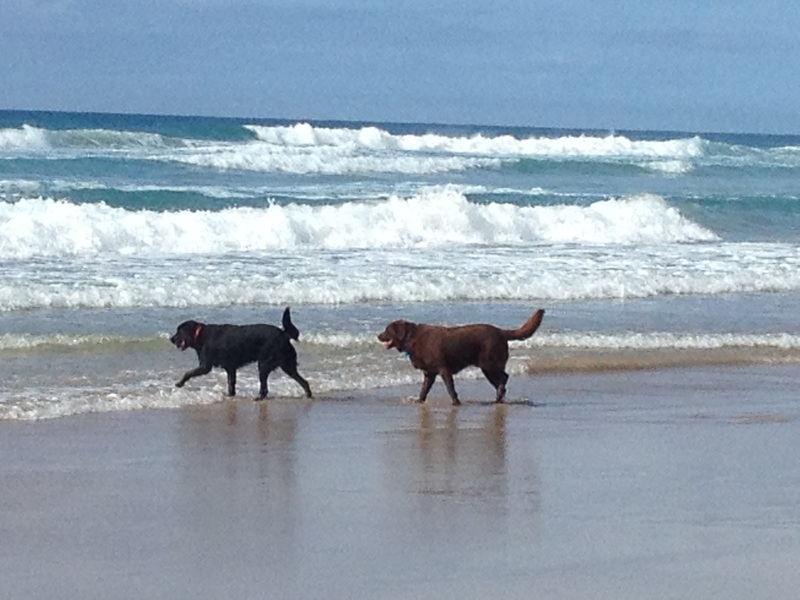 One of these well known places include the popular Peregian Beach. Two different parks surround the beach with their boundaries extending onto the peripheries of the beach. 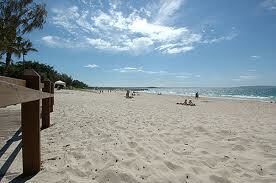 One of the parks which surrounding the beach is the Noosa National Park. These boundaries extend from the northern region of the park and go all along the beach. 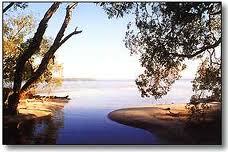 Another park which surrounds the beach with its boundaries is the Lake Weyba and its National Park. These surroundings give the Perigean Beach a beautiful outlook and attract thousands of tourists to visit the natural setting. The visitors can enjoy by taking long refreshing walks on the southern part of the beach and visit the marshland and the sand dunes. You will find a variety of holiday homes, resorts and beautifully constructed hotels where you can enjoy a perfect holiday with your friends and family members. Alongside the beach there is the village which provides a calm and relaxing venue for those visitors who enjoy quiet surroundings. If you feel like enjoying a quiet evening at an open air well furnished café we suggest you head off to the Poets Café. It is one of our favourite spots where the food tatstes even better each time you visit it. The bread is specially prepared by the café and the pastries served are delicious and mouth watering. The Peregian Village contains a number of other cafes, some very stylish boutiques and other well equipped shops worth visiting. The Peregian Market has many treats to offer. The market place is set at the Kingfisher Drive where you will find variety of things quality goods to purchase. The markets are setup on Sundays and Thursdays. Breakfast is provided by the Surf Club. Photography, delicatessens, food, art and you are looking for to get through the day will be available at all these marketplaces. If you feel like enjoying a quiet evening at an open air well furnished café we suggest you head off to the Poets Café. It is one of our favourite spots where the food tatstes even better each time you visit it. The bread is specially prepared by the café and the pastires served are very delicious and mouth watering. The Peregian Village contains a number of other cafes and some very stylish boutiques and other well equipped shops worth visiting. The Peregian Market has many treats to offer. 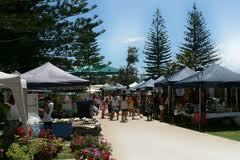 The market place is specially set up at the Kingfisher Drive where you will find a variety of goods to purchase. The markets are setup on Sundays and Thursdays. The breakfast is provided by the Surf Club. Photography, delicatessen, food , art or whatever you are looking for to get through the day will be available at these marketplaces. While visiting the park you will be welcomed by the light, soft live music being played by the musicians in the park. This is an old tradition of the Peregian Originals and they have had a successful history of entertaining people and living up to the mark each time it comes to making your holday a perfect one. You will enjoy some special musical events on the second and fourth Sundays of the month. Whenever you think of spending your holidays in a way that leaves you refreshed and energized we suggest that you select the Peregian village as your holiday spot. To get the perfect view of the Humpback Whales migrating through the Peregian coasts in late November and October you can climb up the Emu Mountain. It is a fairly easy climb. If climbing a perfect track is a part of your holiday package then you are the right place as the Emu Mountain offers a well organized and maintained track for all the climbers. The view from the top of Emu Mountain is breathtaking and will leave you spellbound. You will also find a perfectly maintained playground for children aged 3 years and above. So while you go for a refreshing walk in the park your children can easily spend some quality time in the playground experiencing outdoor games in the beautiful environment of the Peregian Park.